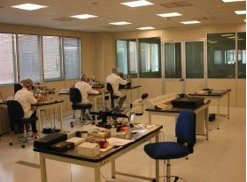 Two clean rooms class 10.000 and 1000 are available for the assembling of microeletronic devices, bare dices , thin film ceramic circuits and organic substrates by the use of microwire and ribbon bonding interconnection technologies. 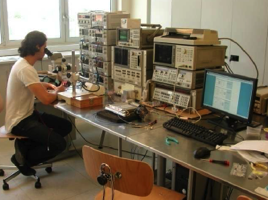 The integration of Electronic packaging with proper connectors and feedthrough is also foreseen along with the technological and electronic testing. 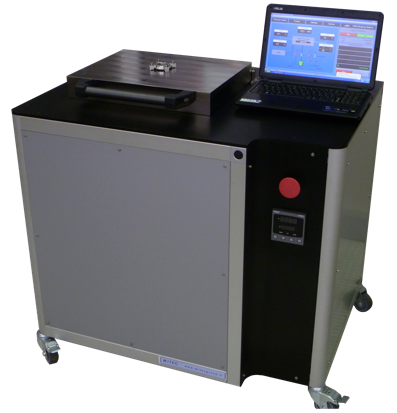 A Plasma Cleaning Station is available for substrates cleaning before wire and epoxy bonding. 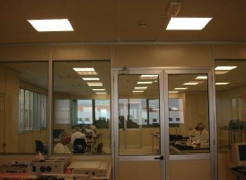 A Vacuum/Inert atmosphere oven is also available for processes of gold/thin eutectic bonding of high power devices.